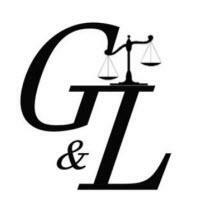 Based in Castle Rock, Colorado, our team at Gill & Ledbetter, LLP, serves clients across the state in complex appeals cases. In administrative, civil and criminal matters, we excel at navigating the process in our clients' favor. We have a background steeped in appellate law in state courts, all the way up to the Supreme Court of Colorado. The founding attorney of our law office, Anne Whalen Gill, is admitted to practice in federal courts including the Supreme Court of the United States. Ms. Gill is widely respected for her work ethic and her results. She holds an Avvo "Superb" rating and has been included on the Colorado Super Lawyers list for the last three years. A published author, she is affiliated with the Colorado Bar Association's Litigation Section, the Denver Bar Association and the Douglas County Bar Association. Even outside the walls of our law office, we are devoted to improving the lives of those we serve. We volunteer with organizations such as the Tragedy Assistance Program for Survivors, Inc. To best accommodate our clients, Gill & Ledbetter, LLP, accepts credit cards.